About one and a half years ago I explained in a post on my old blog why there could still be hope for the Hungarian presidency to develop as an independent and effective check-and-balance on government and parliament. Yet with the next parliamentary elections approaching, it appears that under the rule of Fidesz and Prime Minister Orbán the Hungarian presidency has lost this role, and (potentially) its raison d’être, too. Towards the end Ferenc Mádl’s term in office (the country’s second democratically elected president – 2000-2005), a number of publications declared the emergence of a German/ Austrian-style ‘Chancellor democracy’ in Hungary. 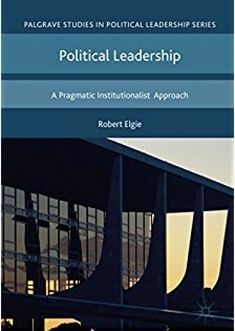 After the role of the presidency had been defined as the outcome of several clashes between president and government, Hungarian Prime Ministers had become the dominant political players, yet the presidents’ role was still significant. This became clear when former Constitutional Court president László Sólyom was elected in 2005. Faced with increasingly unpopular governments (which eventually lost their parliamentary majority) led by the Hungarian Socialist Party, Sólyom was not shy to use his powers and sent badly crafted bills back to parliament or the Constitutional Court. After the election of Pál Schmitt as Solyom’s successor, the activity (or rather inactivity) of the president was largely determined by the government (with Schmitt’s consent as he promised ‘not to obstruct the work of the government’ in any way). After Pál Schmitt’s plagiarism-induced resignation, János Áder promised to be a more active president than his party colleague and that he would check government bills more thoroughly. Áder’s potential for activism is of course naturally restricted by virtue of his indirect election (and the fact that Fidesz is likely to once again dominate parliament after the elections in April). Nevertheless, together with Prime Minister Orbán and parliament speaker László Kövér Áder belongs to the three men that have led Fidesz for the past twenty years and thus has more authority than his predecessor. Since his election in May 2012, Áder also referred 17 bills to parliament (in all but one case his amendatory observations were accepted). Yet, recent developments have shown that the president is less independent (or committed to independence) than political observers and practitioners initially thought. Áder failed to criticise, veto or send to the constitutional court any of the controversial constitutional amendments introduced over the last two years. He also signed off the new electoral law which – despite including several amendments that made the system more effective – gave way to the exclusion of ethnic minorities. His signature under a highly controversial nuclear power deal with Russia that was negotiated without a proper tendering process is the latest case in which the opposition has accused Áder of not fulfilling his constitutional duties. Áder also created great controversy when he announced the date for the 2014 parliamentary elections. Not only did he wait until very late to announce them, but then also set the date for the earliest possible day. This not only reduces the time for an electoral campaign but also the time for parties to gather the required number of signatures. Contrary to political practice Áder did not consult the date of elections with the opposition parties and agreed on it with the government parties months before its declaration. The latter was only revealed when a government MP mentioned the date by mistake during a parliamentary debate. The new Hungarian constitution of 2011 did not change any stipulations on the presidential office, and this despite the fact that many of them were ambiguous and led to fierce political conflict or contained powers (such as the right to legislative initiative) on which both politicians and legal scholars agree that the president must not use them. Yet as shown above the role of the president in practice differs very much from stipulations and previous practice. While one could attribute Áder’s failure to criticise controversial government policies to his party affiliation and wish for re-election, there are hardly any other examples in the region where an indirectly elected president remained so inactive. Even if in friendly relations with the government, presidents in Central and Eastern Europe have never subordinated themselves to the government to the same extent as Áder. Even German presidents have – while being significantly less powerful and legally subordinate to the federal government in political matters – not shown such inactivity. Further amendments to the Hungarian constitution are likely, but will probably not include a removal of the presidency. Nevertheless, for the current functioning of the Hungarian political system, its existence appears to be largely irrelevant. Dieringer, Jürgen. 2005. ‘Staatspräsident Árpád Göncz: Wegbereiter der ungarischen ‘Kanzlerdemokratie’ wider Willen.’ [President Árpád Göncz: Inadvertent enabler of the Hungarian ‘Chancellor Democracy’] Südosteuropa. Zeitschrift für Politik und Gesellschaft 2/2005, 272-288. Schiemann, John W. 2004. Hungary: the emergence of chancellor democracy. Journal of Legislative Studies 10 (2) 128-141. This entry was posted in Europe, Hungary and tagged Hungary, parliamentary elections, President Janos Ader, Viktor Orbán on February 17, 2014 by Philipp Köker.